Creating a meaningful connection with consumers has an impact on retailers’ bottom lines, as a new report finds those who feel emotionally tied to a brand have a lifetime value that is 306 percent higher than those who are merely satisfied. According to a study by Motista, emotionally-connected customers remain loyal to brands for longer, and spend up to two times more in a year. Coupled with a growth in annual spend, creating deeper relationships can lead to a greater lifetime value for retailers. "Contrary to what many may believe, understanding the emotions that underlie motivations reveal the most persistent and consistent predictive intelligence about consumers," said Michael Mathias, president of Motista. "Emotions are not fleeting. Rather, they are the foundation of what makes someone who they are. "Identifying and activating against the specific emotions that, when connected to, enable the highest value relationship is by far the best way to sustain and grow the relationship between the brand and consumer," he said. Motista's "Leveraging the Value of Emotional Connection for Retailers" report is based on a study of 100,000 U.S. consumers' buying habits across 100 brands from 2016 to 2018. Motista’s report found that within the luxury business, consumers who are satisfied spend an average of $699 per year, while those who have an emotional connection spend $1,423. Emotionally-connected consumers are also more apt to recommend retailers, with 71 percent compared to 45 percent of satisfied shoppers. The average customer lifespan also grows from 3.4 years to 5.1 years with the addition of emotional bonds. The company has tracked what portion of consumers have an emotional connection with retailers, and found that of the brands studied, Gucci, Burberry and Neiman Marcus have the highest level of emotional connection with consumers. 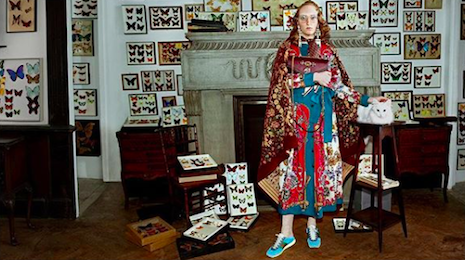 “Gucci and Neiman Marcus lead by doing a great job in the consistency of user experience across every touch point, based on what they know about the specific emotions and motivations in their high-value customers,” Mr. Mathais said. 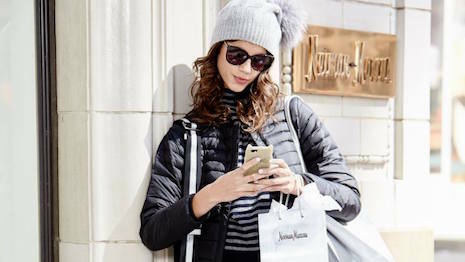 While Nordstrom was recently named the most emotionally intelligent luxury retailer by affluents in a Luxury Institute study (see story), Motista found that its score for emotional connection lagged behind Neiman Marcus. The report suggests that while Nordstrom is known for having strong customer service, it may want to focus on emotional bonds to drive further growth. Motista also points out that many of companies’ current strategies will do little to drive growth. For instance, focusing on traditionally high-value shoppers does not drive client acquisition. Retailers realize the importance of emotionally connecting with shoppers, but it is often underleveraged. Per the agency, emotion should help drive everything from merchandise to marketing. To succeed in today’s competitive retail environment, brands need to be fast, fearless and flexible, according to a Forrester analyst. During a panel at the researcher’s CX NYC forum on June 19, speakers noted the importance of meeting the modern empowered consumer with experiences that make shopping more convenient and positive. Putting the consumer’s needs first when designing everything from an ecommerce site to in-store environments is key, and can lead to greater loyalty and spend. Even with consumers being increasingly demanding, in the past year, retailers have been doing a better job at customer retention, according to Forrester’s 2018 CX Index. However, while repeat business is trending up, consumer advocacy and emotion were flat from 2017 to 2018 (see story). Purchasing a luxury good requires an investment far beyond what most pay for similar products, but consumers do so because those brands have become a “passion" worthy of going out of their way to acquire. Speaking at Ad:tech 2017 Nov. 1, a writer and director from Questus spoke about the ways that brands can behave irrationally to drive an emotional reaction from customers which can lead to sales. In his talk, he spoke about the brand Yeti, which sells coolers at a far higher price point than competitors through the strength of its advertising and emotional connection to customers (see story). "We often hear the directive from retailers to 'be more customer centric,' but without specific directives, this order is difficult to carry out," Mr. Mathias said. "Emotional connection with consumers, based on specific emotions and motivations, is an organizing principle that can be directly activated. "Now, brand, marketing, brick-and-mortar, ecommerce and the overall user experience can be organized consistently around emotion," he said. "The result is a higher value customer with lower churn, higher order and lifetime value."